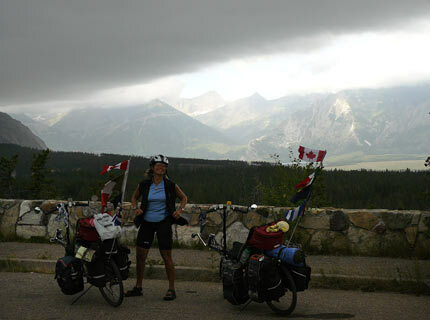 In less than a day, we cycled from high mountains down to the foothills and the beginning of the plains. It was an amazing transition. 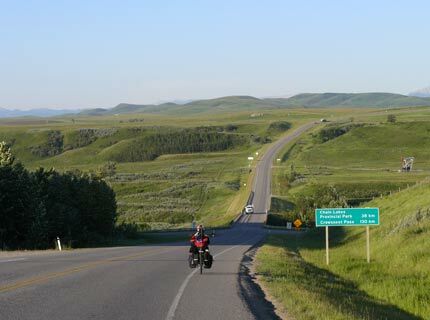 Right, approaching Longview, Alberta. 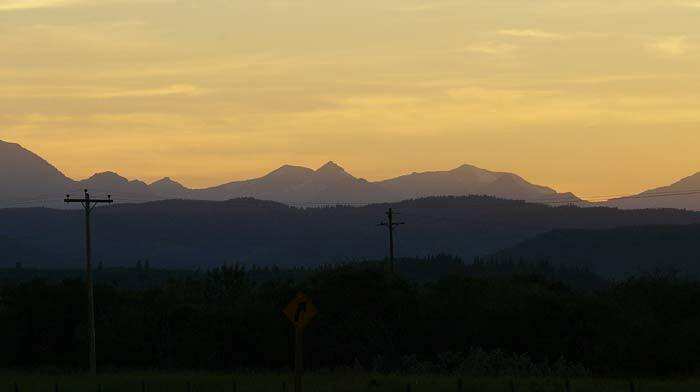 On the way to Pincher Creek, the the terrain was deeply rollling, but still wide-open, with huge skies. 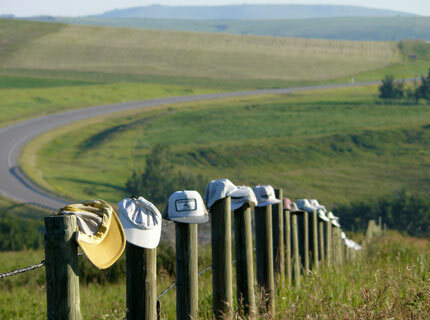 We loved the cycling, marred only by omnipresent flies, monsters that could keep up with us when we were cycling uphill. 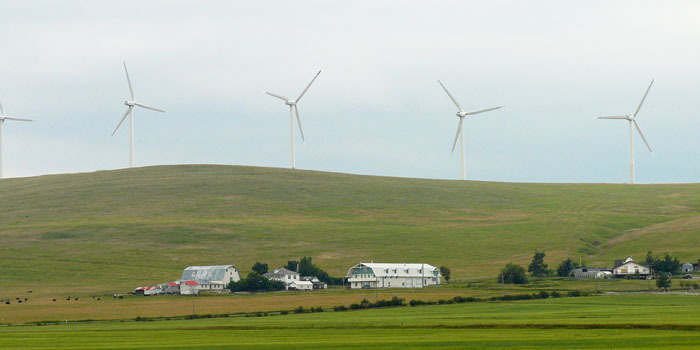 Below, there are many windfarms in this part of Alberta. 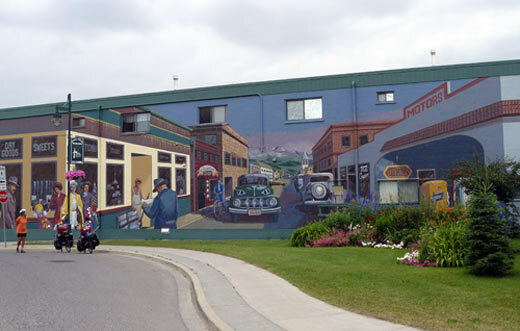 Pincher Creek is a small town on the edge of the prairies, notable for colorful murals all over town. 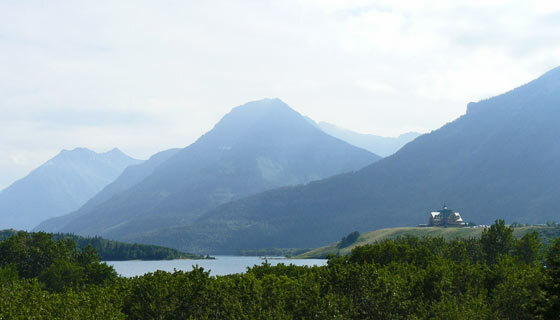 From Pincher Creek it is an easy ride to Waterton Lakes National Park, below. 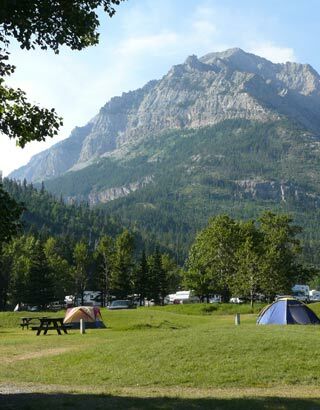 This gorgeous Canadian park borders Glacier National Park in Montana, and although each is run by its own national park service, they have been jointly designated as Waterton-Glacier Internation Peace Park. 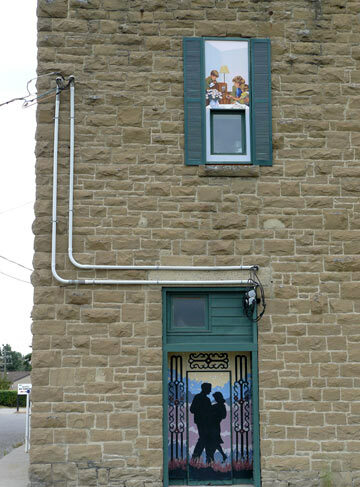 Prince of Wales Hotel, in the photo below, is another grand landmark in which we did not stay. Rather, we stayed in the campground, right. 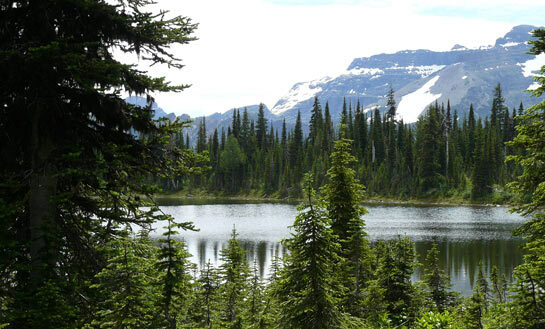 There are many beautiful hikes in the park. 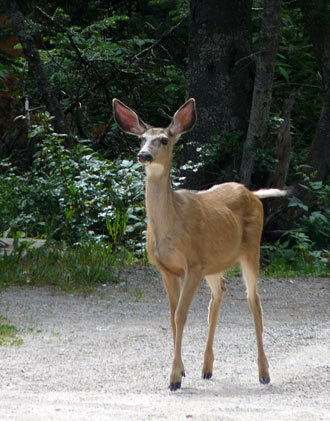 Deer and sometimes bear run loose in the tiny village of Waterton Park. 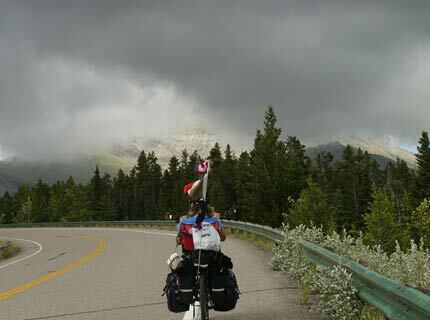 Shortly after leaving Waterton Park, we were overtaken by a sudden storm, below. It came on with amazing rapidity; the temperature quickly dropped from the high 70s to the low 40s! 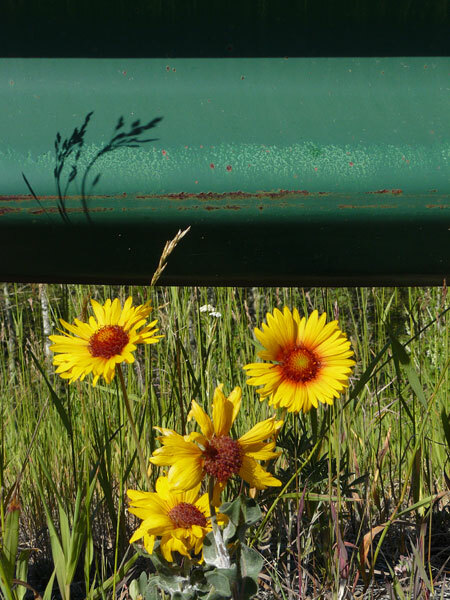 When we stopped to put on warmer clothes, Barbara was exhilarated. There was something hugely exciting about the experience, but it's a good thing the high winds were behind us. Otherwise, we might have been trapped in the storm, which dumped damaging hail in some locations. 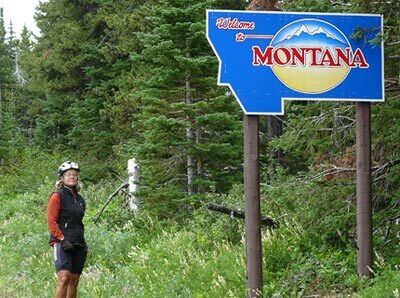 As soon as the storm passed, we were in sunshine again, and before long we reached Montana.